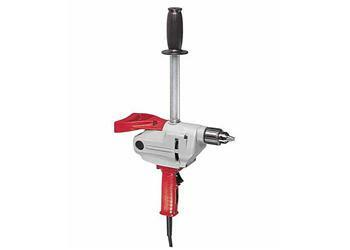 Big power in a compact drill, the Milwaukee 1630-1 is easy to use with its extra long handles. This drill is made for two handed operation which is nice for large hole drilling or material mixing, this drill has the power to handle it. This unit features a 900 rpm operating speed, a good speed for smaller bits and less torque applications.